Abu Garcia Revo S Spinning Reel combines best-in-class engineering with unbeatable performance. This high-quality reel sports an IM-C6 carbon body design for exceptional gear alignment under high-energy fishing runs. 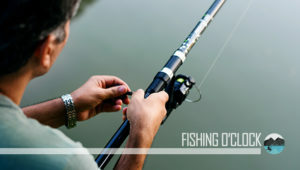 Its X-Craftic gearbox design delivers seamless operation regardless of how hard the fish fights. The Revo S offers accurate casting thanks to its Rocket Spool Lip design. A slow oscillation and Everlast bail system allow for an even line lay. This reel comes with a Rocket Line Management System for exceptional control regardless of your fishing line quality. Whether you are using braid, PVC, or twine, Abu Garcia Revo S Spinning Reel’s machined aluminum spool allows for proper line installation. 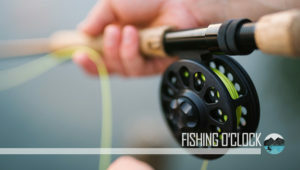 The reel comes with an ergonomic grip for smooth and comfortable cranking while the Carbon Matrix drag system provides smooth drag and lower fatigue. Its Everlast bail system, corrosion-resistant stainless steel main shaft, and HPCR bearings make it a formidable weapon in an angler’s arsenal. If you are looking for a lightweight but durable reel for freshwater fishing, the Abu Garcia Revo S checks all the boxes. At 8.4 ounces, the Revo S performs like a high-end reel. It features an Insert-Molded C6 carbon body design that does not bend, shift, click or rattle under pressure. 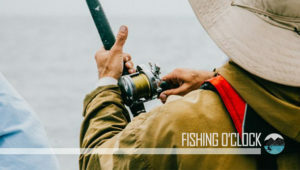 Regardless of your skill level in the angling business, you will find this reel exceptionally strong for large, hard-fighting fish like bass, trout, and pike. Thanks to the lightweight and sturdy construction of the Revo S, you can keep tournament-winning bass on the line for long hours with less fatigue. Plus, the reel won’t snap on you no matter how hard the fish pulls. The Carbon Matrix hybrid drag system delivers an impressively smooth performance with a maximum drag capacity of 20 pounds. With 7 stainless still High-Performance Corrosion Resistant bearings, one roller bearing, and a 6.2:1 gear ratio, retrieving fish is smooth and efficient. Not only does the drag system allow you to manage any situation, but it comes with a plethora of settings suitable for specific circumstances. With this reel, no fish will escape with your line by heading deep into the water. While some spinning reels are line-selective, the Revo S is perfect with any line. Thanks to its machined aluminum spool, it allows you to use braid, PVC, fluorocarbon and many other line types with no issues. The reel allows for a smooth line spooling without loops or entanglement. If you fish with braid and do not fancy tape or backing, the Revo S offers an accurate and even line placement for all materials. The Revo S comes with an X-Craftic gearbox design with a stainless main shaft and component for a smooth retrieve. This gearbox offers spectacular durability and rigidity and immense pulling power for any species on your line. The construction of the reel helps keep things steady so you don’t get tired regardless of the fish size. 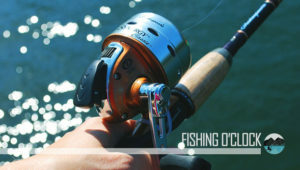 This reel offers exceptional ergonomics for improved comfort and reduced fatigue. It comes with a lightweight design thanks to the IM-C6 body and a graphite rotor. Large PVC knobs offer a comfortable grip during cranking. The ability to tie braid on directly, enhanced line laying capability and the overall design make the Revo S the ultimate angler’s tool at large bass competitions. Few reels offer high-end features and aesthetically appealing design for less than $200. While many low-priced fishing gears deliver their worth, the Revo S combines affordability with class-leading performance. It comes with myriad features such as a sturdy build, slow oscillation, line management system and every feature you need to become a high-flying angler. While it is true you get what you pay for, but the Revo S delivers more than its price tag. If you are looking for an affordable reel that is tournament-worthy, this model won’t disappoint. Despite its glowing attributes, the Revo S has limitations. It does not handle salt water well. But it is a freshwater champion and would handle any situation with finesse. If you are looking to fish in the Pacific or Atlantic, this isn’t the reel for you. But it is the go-to reel on the neighborhood lake or river. That’s the only complaint you will hear or see about the Abu Garcia Revo S reel. It might look small, but it handles large fish well thanks to its solid engineering. Abu Garcia’s Revo S reel comes in lightweight construction with a dashing aesthetics. It is an excellent spinning reel for freshwater angling and delivers unbelievable smoothness while casting and retrieving. Its sturdy design, large drag capacity, and flexibility make it a winning choice for serious anglers.